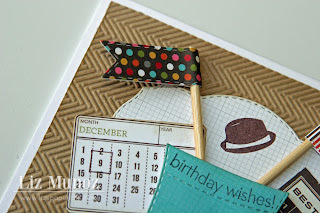 Liz's Paper Loft: Happy Birthday Man Style! 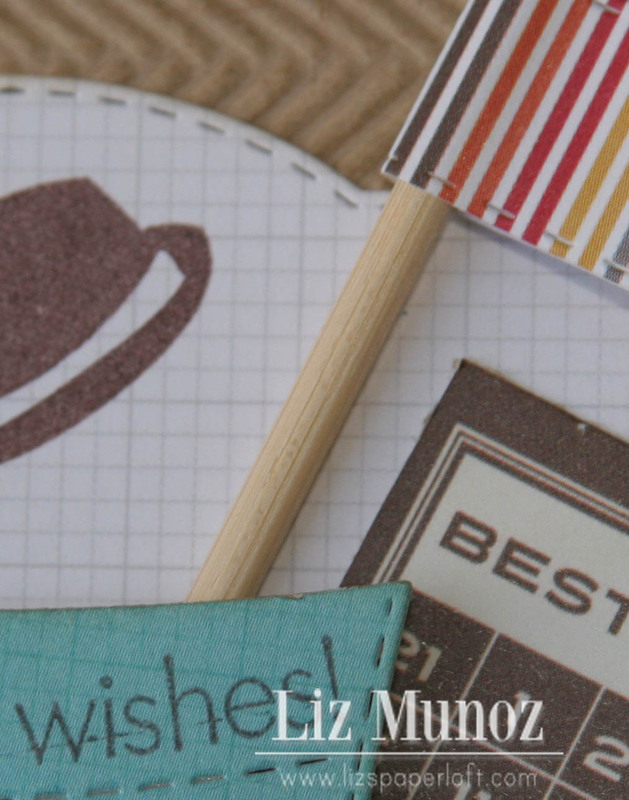 Hi my paper lovin' friends! I feel like I really haven't been around much. We went out of town last week to the Happiest Place on Earth! Well let me tell you...I think the whole world was there! There were WAY TOO MANY people! We still managed to have fun! 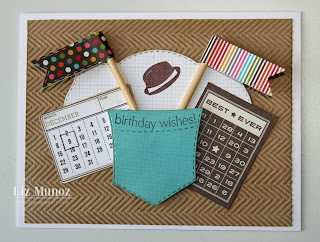 Ok, enough of me :) Today I have a card to share with you that I made for my FIL's birthday! I wanted it to me fun and colorful, yet masculine. I think I achieved it! I know I haven't used my cricut lately. I promise to dust if off and create something with it soon! lol! This is wonderful...I always have such a difficult time with masculine cards! This is so fun and super cute!!! 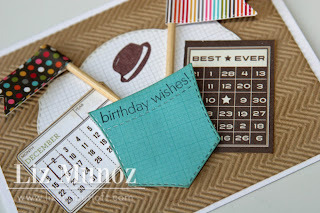 Love how you used the vintage label die to ground it all! What a great masculine card! I love that embossing folder too... I wonder if I have it? I need to check. Liz ~ What a PERFECT and HANDSOME masculine card! I just LOVE what you did with the new tag die and ALL the MCT products! WOW!! Whatever man recieves this card is surely going to LOVE it! CUTE little top hat too!! How fun is this!!! GREAT manly card!!! Wish Big Birthday ~ Card! Jinger Adams ~ Birthday Card! Family Subway Sign and Thanksgiving Day Sale! Tuesday Double Take and Thanksgiving Day Sale! Jinger Adams Free Printable Banner! Piles of Smiles ~ Card and Givaway! Happy Fall Y'all ~ Card and Giveaway! It's Halloween All Over Again and a Giveaway! Show Me Your Technique ~ Stamped Reflections! Jinger Adams Featured Designer ~ Layout!